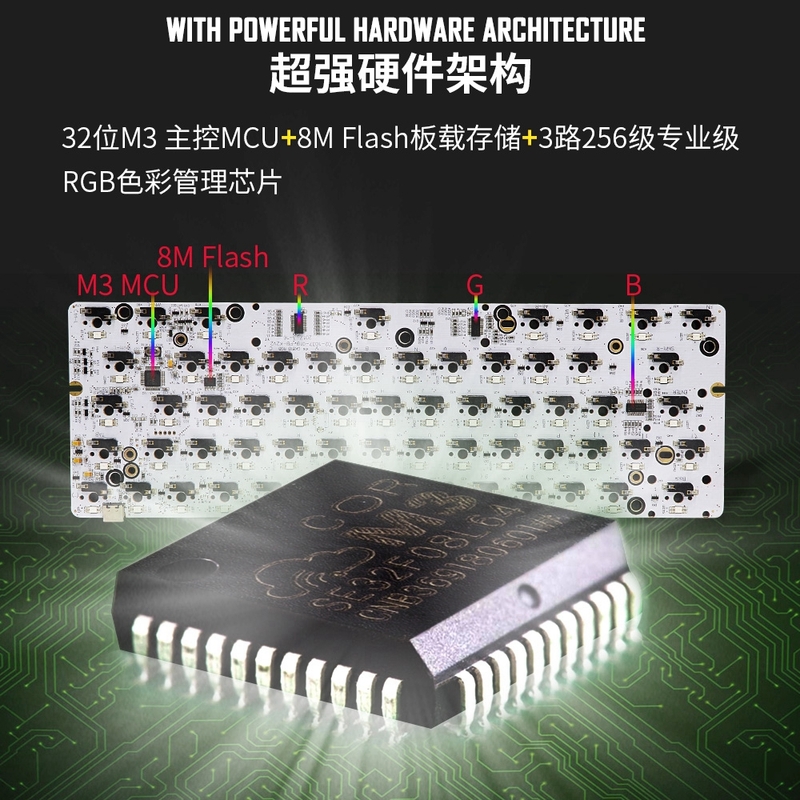 if you choose PCB only , you will get one GK61 PCB only, not including others. 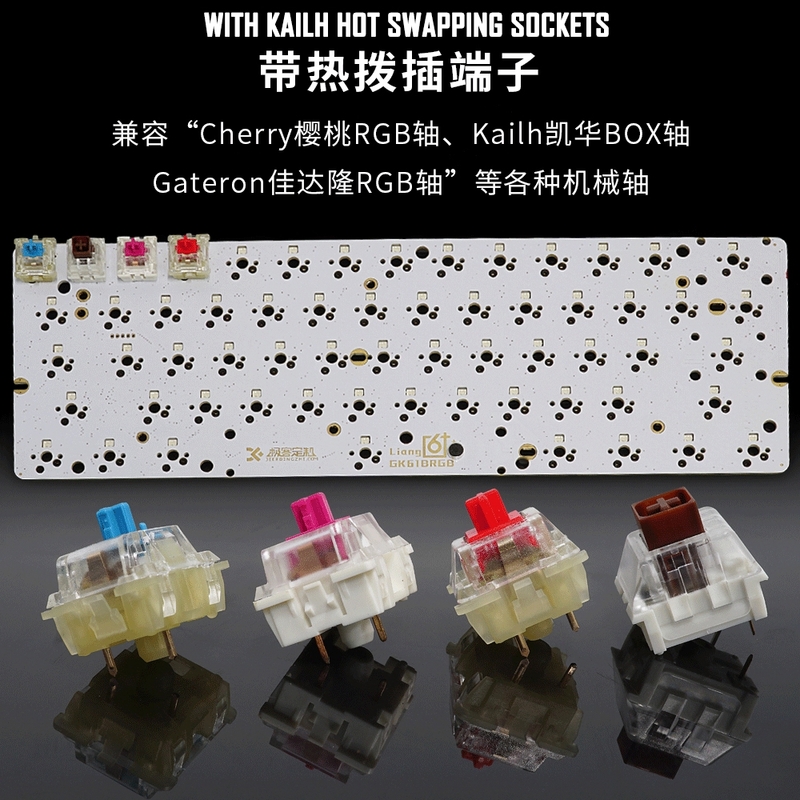 To avoid damaging GK61 hot swapping sockets, pls make sure your switches' pin is vertical , and you'd better not using used key switches with soldering tin. 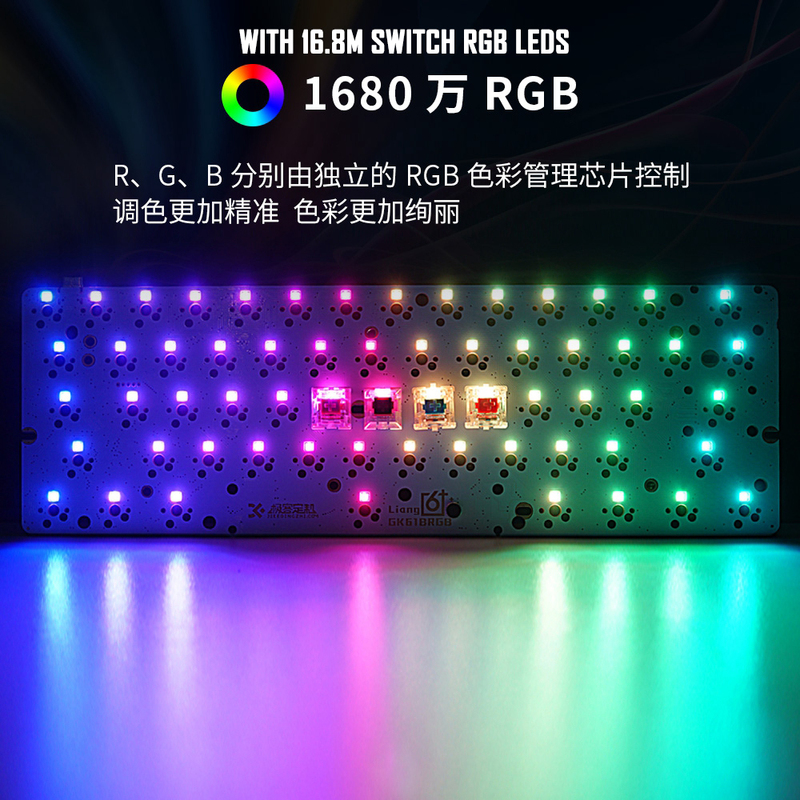 GK61 RGB 60 key PCB is compatible with most general-purpose 60 enclosures. 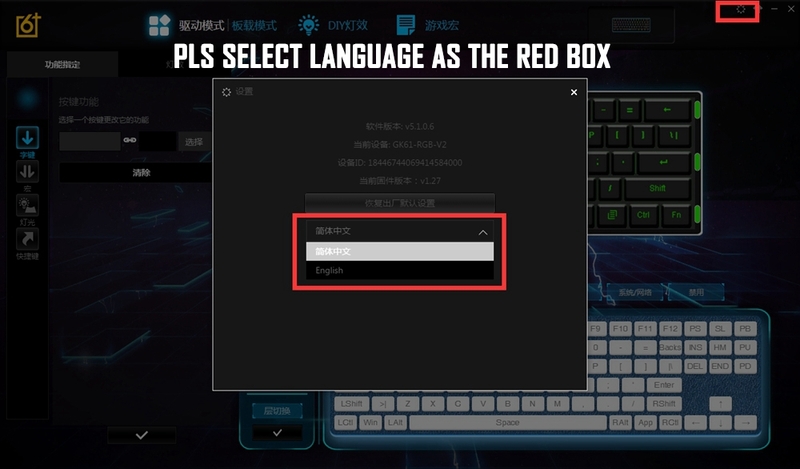 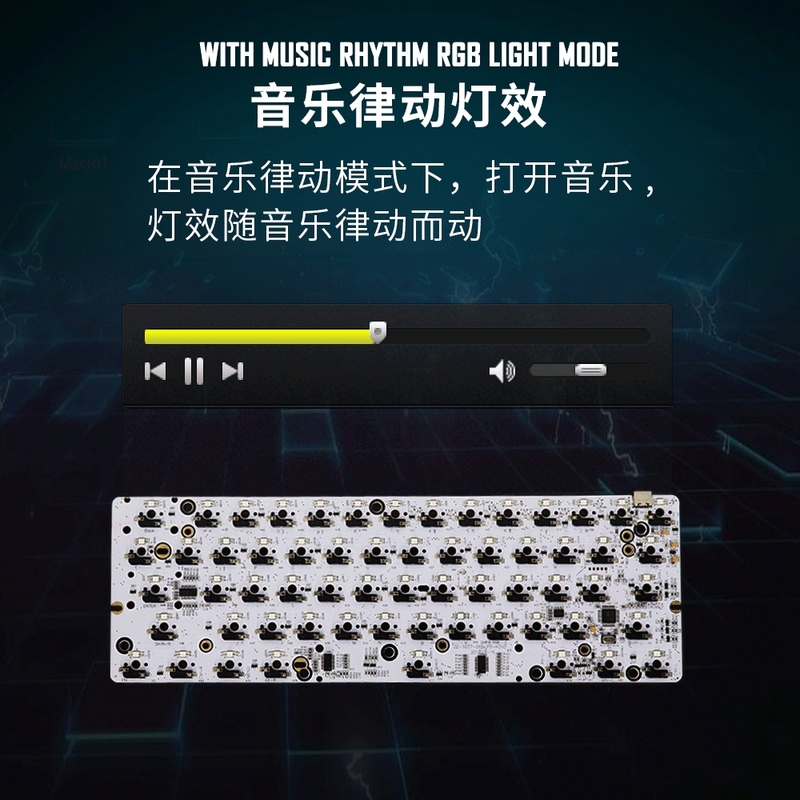 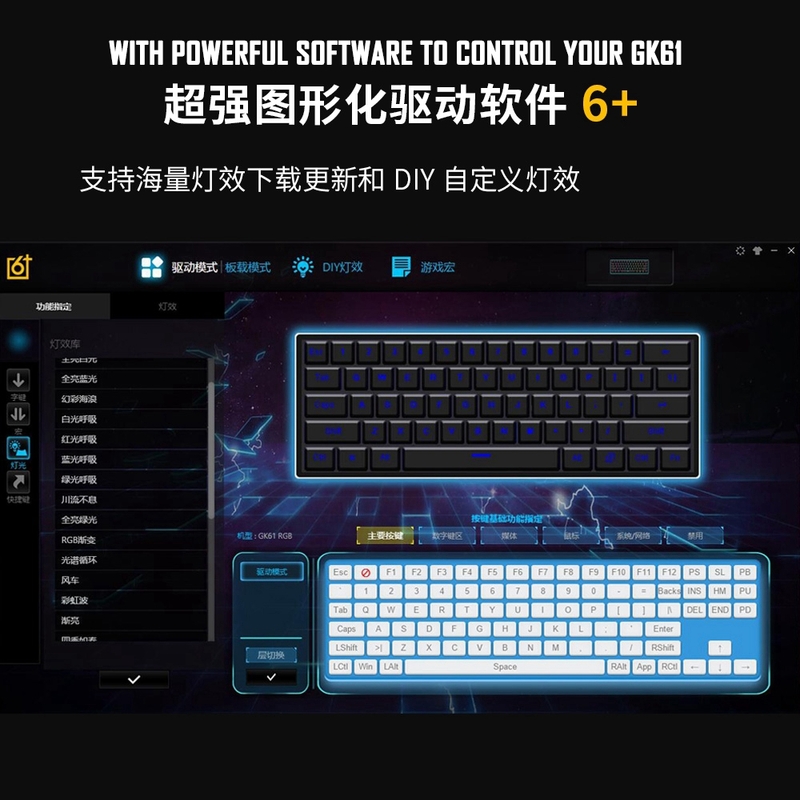 Support music rhythm and sound control, drive custom macro programming keys, three layers can be defined.